Huawei unveils yet another cutting edge smartphone with razor thin stealer feature. The Huawei Ascend P6 has depth which measures 6.18mm - that's 0.32 mm thinner that the Alcatel One Touch Idol Ultra. 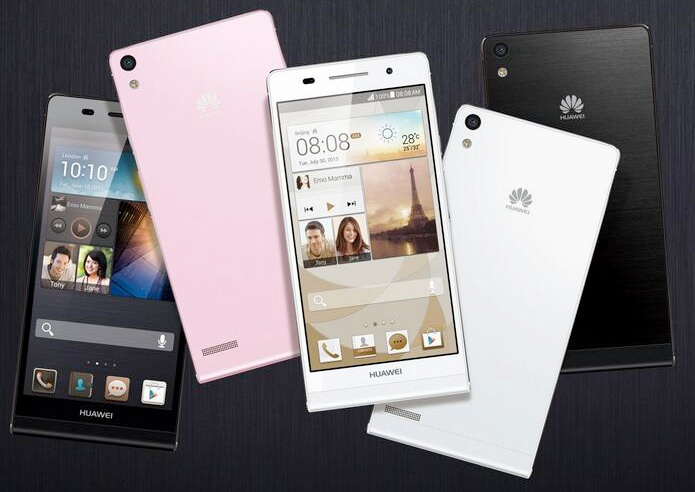 As expected, the Ascend P6 sports a 1.5 GHz quad-core processor underneath the 4.7-inch high definition display. This 120g device also rocks a 2000 mAh battery to keep you on the road for an ample amount of time. Running the whole show will be the latest Android 4.2.2 (Jelly Bean) which includes the camera app that'll power the rear 8MP and front 5MP shooter. Pricing has not been disclosed by the Chinese manufacturer but it'll come in its motherland this June and in Europe in July. You can choose between Black, White and Pink variants.